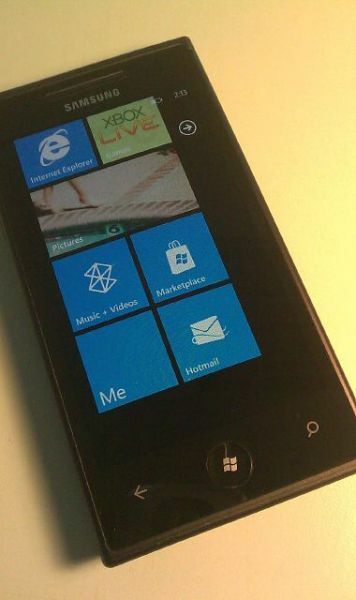 Well, the last Win 7 phone came up in Pakistan. While other smartphone manufacturers are trying to keep their devices a secret, Samsung is barely worrying about it, as yet another photo leak of a Windows 7 powered device is on the Internet, and according to sources the mobile does not at all look like the Samsung Cetsus, I repeat: It does NOT look like that. The Samsung Cetsus is heading over to AT&T, and has many other phones in the lineup too. So, it seems that Samsung has more than just one smartphone in its lineup for Win 7 devices, and they are just showing us some sneak peeks to intimidate the masses and have them wait for the release so as to prevent them from buying an Apple iPhone or Google’s Android powered phone. If that is their intention, I am pretty sure they are doing a good job at it. 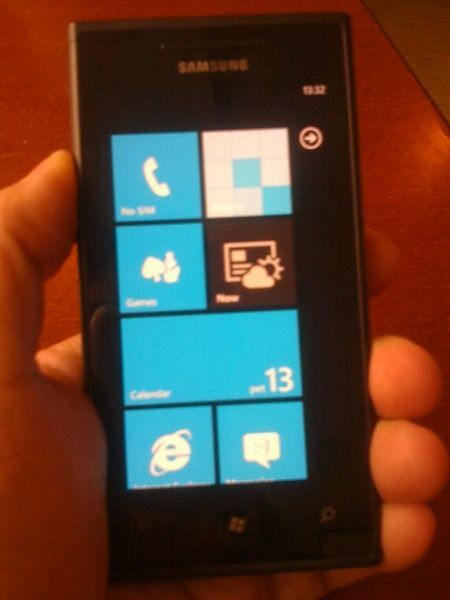 However, in my honest opinion, both the smartphone pictures that have been leaked by now seemingly look alike. I mean, the ASUS one and now the Samsung now. There is barely any difference in looks or physical features of the phones, however, there may be software and hardware changes of course.